More than 300 business and civic VIPs descended on Preston’s historic Flag Market to begin the North & Western Lancashire Chamber of Commerce’s centenary celebrations. A special civic proclamation ceremony was held, followed by a church service and President’s Reception at Preston Minster. It began with celebratory speech from Preston City Council before the formal proclamation was delivered by Lord Shuttleworth, the Lord Lieutenant of Lancashire. 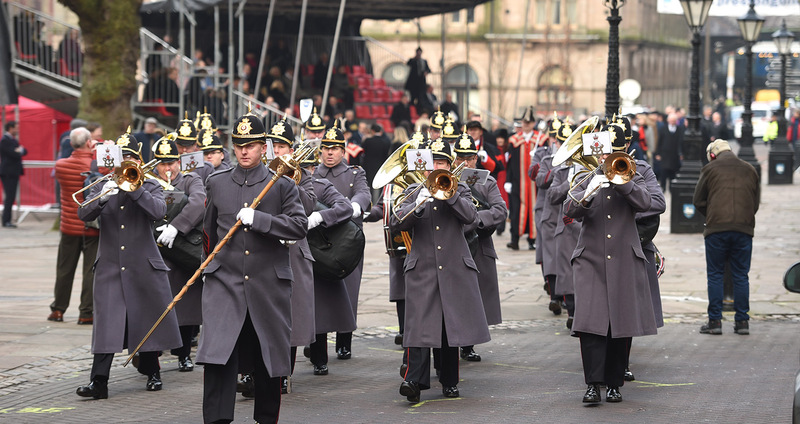 There was also music from the marching band of the King’s Division, who then led the delegation through the streets of Preston to the Minster. Once the Minster, the Vicar of Preston, Father Timothy Lipscomb, led a commemorative service which featured addresses from dignitaries including Chamber Chief Executive, Babs Murphy, President, Norman Tenray, incoming President, Dawn Cheetham, and Preston City Council’s Chief Executive, Lorraine Norris.